Each year, we host a weeklong intensive course designed with pastors (both aspiring and current) in mind. This year, Dr. Joel Wood (DMin, Reformed Presbyterian Theological Seminary) of the Reformed Presbyterian Church of North America will guide us through the book of Job from the perspective of a veteran biblical counselor. Dr. Joel Enoch Wood is a fifth-generation minister of the gospel and a pastor in the Reformed Presbyterian Church of North America (RPCNA). 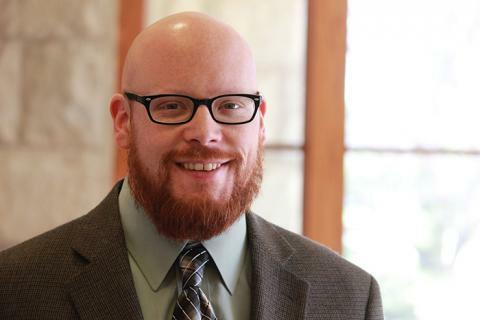 He holds degrees from Moody Bible Institute (BA) and the Reformed Presbyterian Theological Seminary (MDiv, DMin), having studied also at Dallas Theological Seminary, MidAmerica Reformed Seminary, and the Congregational Foundation for Theological Studies. Certified Level-2 by the Association of Certified Biblical Counselors (ACBC), he counsels folks with all sorts of struggles – chronic pain to eating disorders, emergent marital issues to Post-Traumatic Stress, self-harm to basic matters of discipleship. He ministers as pastor of Trinity Reformed Presbyterian Church in Burtonsville, MD and teaches occasionally as adjunct professor of Biblical Counseling at Westminster Theological Seminary. He lives in Maryland with his wife, five children, and their family dog, Marshall the Schnauzer. Counseling Through Job: Textbook & Test Case connects the book of Job to the theory and practice of Biblical Counseling, particularly in cases of suffering, loss, and depression in the lives of repentant Christians, through Job‘s text, theology, and typology. Pre-, mid-, and post-module assignments, lectures, and in-class discussion and projects will give the student greater understanding of the text, its usefulness in the theology and administering of Biblical Counseling, and help in applying it to counseling cases. Students will gain the ability thoughtfully and appropriately to use Job in counseling, discipleship, preaching, and in apologetic defense of the practice of Biblical Counseling. Students will also be able to evaluate their own theology of counseling in light of biblical anthropology, to understand the textual interrelation of Job with the rest of Scripture, and to bring comfort to the lives of godly sufferers. If you have any questions, please contact Mrs. Kathleen Curto (Registrar) at registrar@gpts.edu or call the Seminary at 864.322.2717. To take this course for Continuing Education Units (CEU) credit or for personal enrichment, please select this option. To take this course for credit toward a seminary degree (at GPTS or a participating school), please select this option and contact Mrs. Kathleen Curto (registrar@gpts.edu).